A range of set up options seating up to 180 theatre style, 270 standing for gigs/concerts, or 120 seated at round tables for a banquet or wedding. The Studio with courtyard is ideal for dance classes, youth activities, children’s parties, theatre rehearsals, fitness classes and larger meetings. 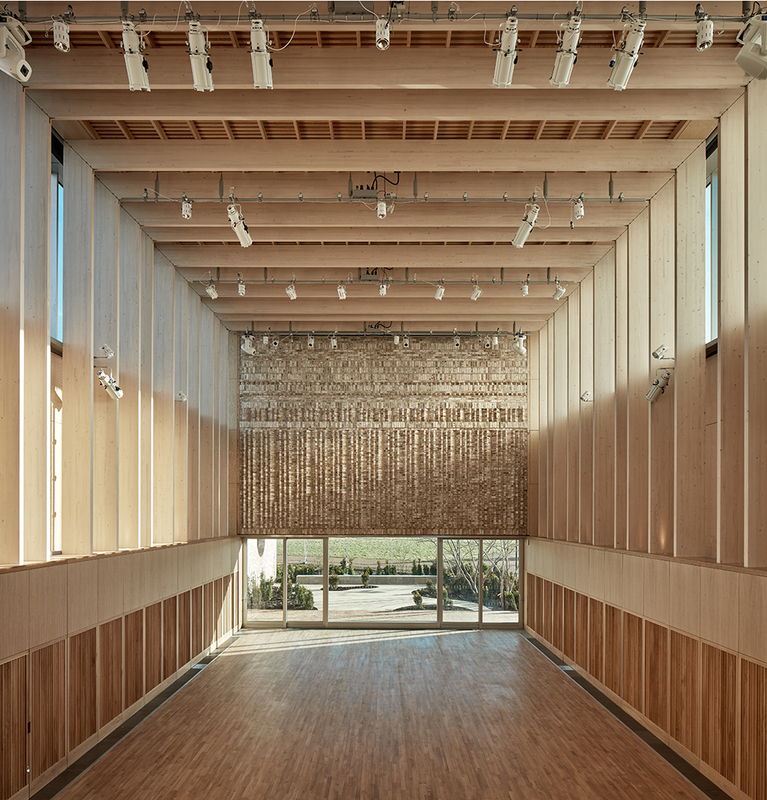 The Studio can be hired on its own or as part of a package as a breakout room for conference or can be used as dressing room for performances offering unseen entry on to the hall stage. 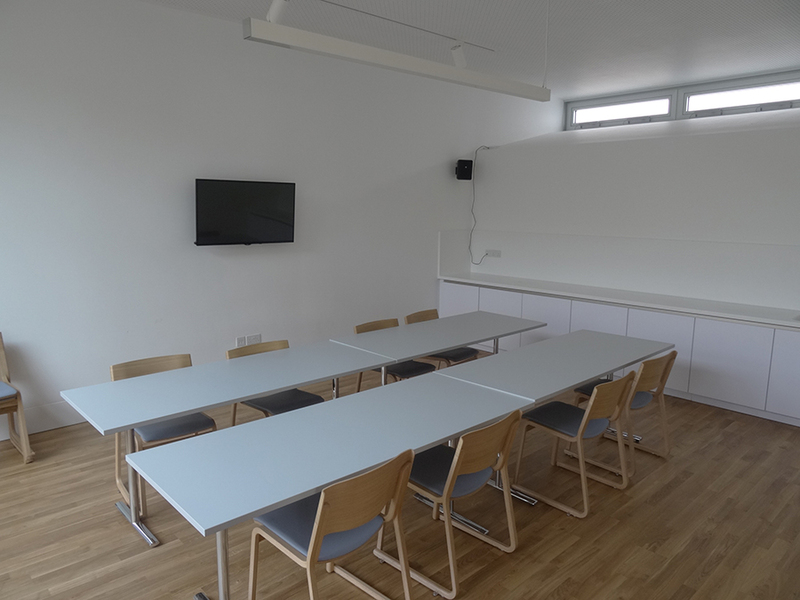 A light and airy room ideal for a range of activities including meetings and small workshops. Can be booked as a dressing room or break out space for larger meetings. A beautiful foyer greets you on arrival with integral bar and community kitchen. 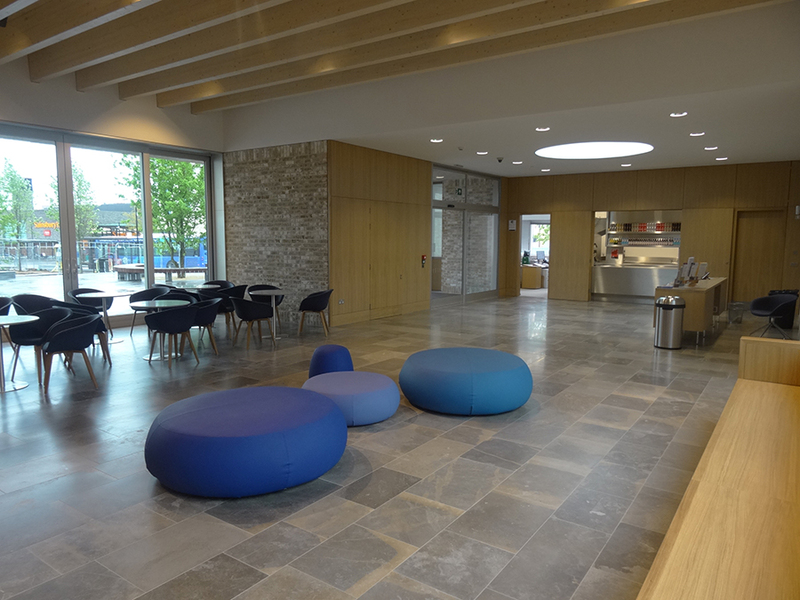 A large, bright café style area that is easily big enough to hold an audience prior to doors opening. 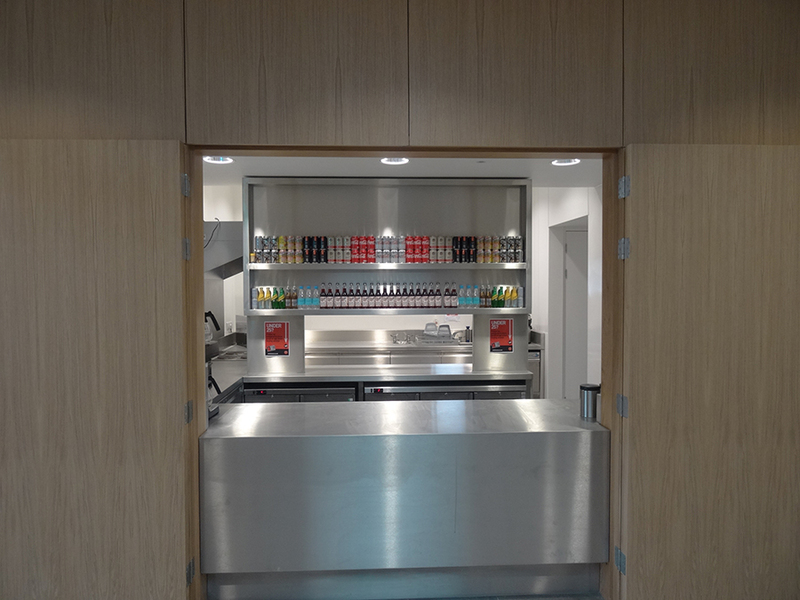 Complete with a designer reception desk that doubles as a box office and dotted with tables and chairs that are served by a community kitchen space and bar area. 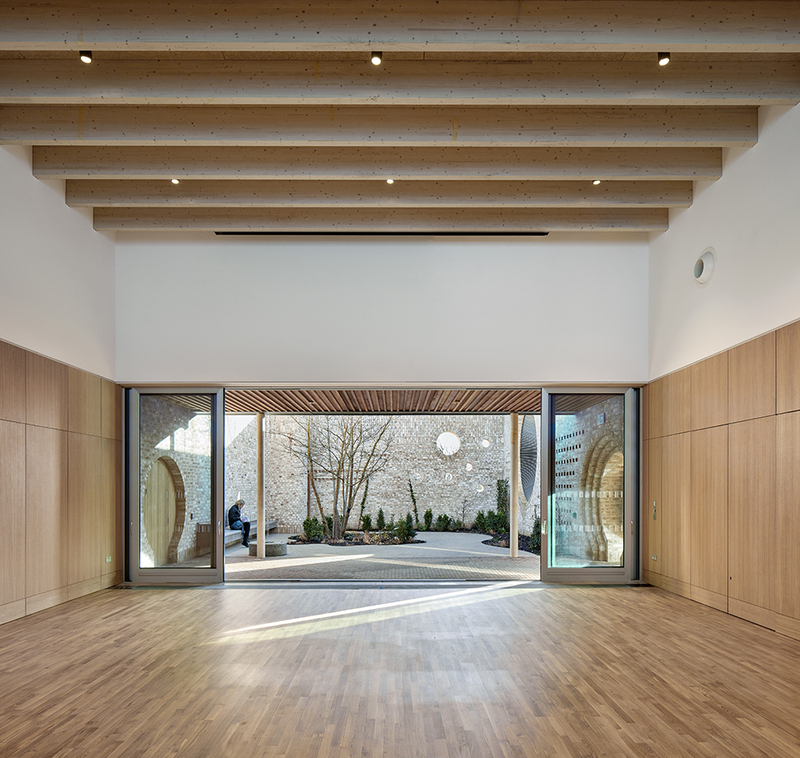 Floor to ceiling windows open on to the community square at the front of the building and to the rear offer views to the exquisitely planted courtyard. All the rooms are on one level with clear access throughout for customers. We have good facilities for people with disabilities and we welcome your feedback, especially during the first months of opening. There are disabled parking spaces close to the front door available on a first come first served basis. 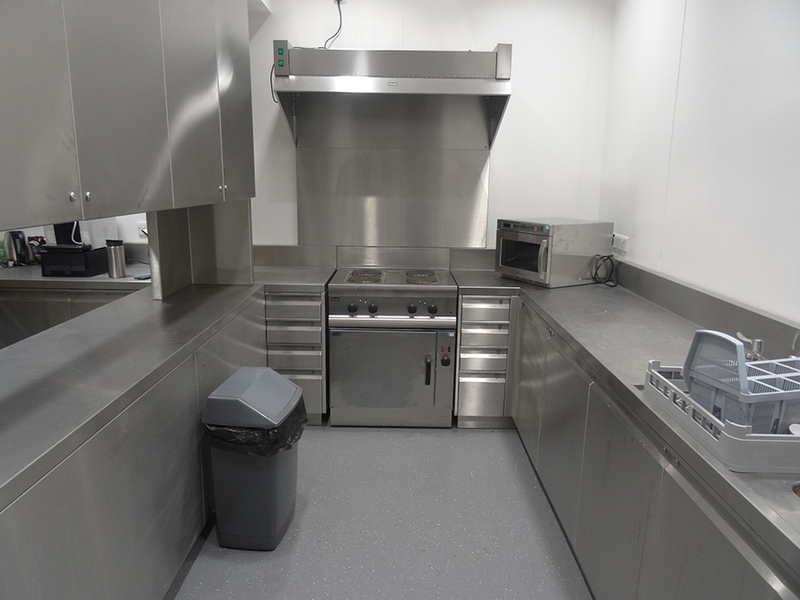 The venue has a fully equipped community kitchen which you can book for your event. Please note that this is not a commercial kitchen and you should contact the Administrator or Centre Manager to discuss your needs. We can offer catering for your event through one of our suppliers or you can arrange to bring in your own caterers. We have a fully licensed bar which we can open for your events. Please note that hirers are not permitted to bring in their own alcoholic drinks without the express consent of the licensee (a corkage fee is payable in all circumstances) or to run their own bar.